The Kanger Top Evod Starter Kit is the ultimate companion for those who are on the go. 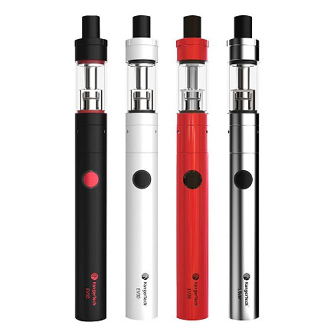 The kit includes a 650 mAh Evod battery and a top fill Evod Clearomizer. The combining of the two make for a sleek and easy to use electronic cigarette that gives a steady and flavorful vape. The Kanger Top Evod Kit is simplistic in its design and makes a great kit for new vapers and casual users. Its Top fill feature allows for a clean and efficient liquid fill, avoiding messes and thread stripping. Depending on how often you vape, the 650 mAh battery can last anywhere from 5-10 hours, keeping you satisfied all day! Its the perfect package, literally! It comes with everything you will need for a complete device, including its own USB charger.